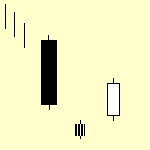 You should include know-how about morning star candlestick pattern to your stock chart analysis. This candle pattern has good relevance for swing traders and position traders. Morning star candle pattern is typical bullish formation based on three candles. 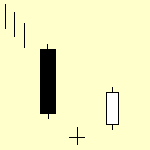 Long negative candlestick is followed by short body neutral candle and third long body bullish candlestick. There is also special version of this pattern known as Morning Doji Star. 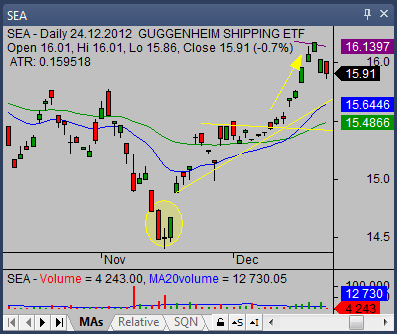 This candle pattern includes doji as second candle. The most important message that you should notice when observing morning star candle pattern is that trend is reversing. The most important is the usage in a pullback during some form of uptrend. When you are able to combine other tools of technical analysis together with this bullish reversal candlestick pattern then its importance is much higher. You can easily find moving averages or horizontal price support areas as typical additional tools confirming reversal. It is not recommended to act immediately after this bullish reversal pattern forms itself on a chart. The best way is to wait little bit longer. The price typically starts to rise after this pattern. After some time the price starts to rest and forms price area. And it is the best time for a new trade. The breakout from relatively small price base offers often a huge opportunity and reward for patient swing and position traders. The first chart of SEA exchange traded fund shows reversal of former bearish trend. 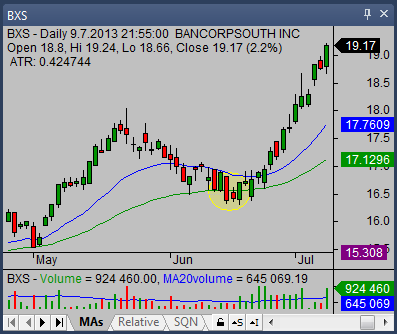 The 200-day simple moving average represents good target area for this type of swing trade. The second example shows how the 200-day moving average and morning star candle pattern set a combination that led to a successful bullish swing trade. 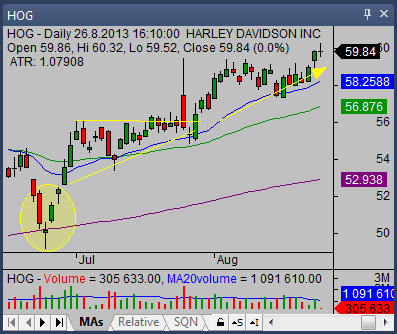 The reversal initiated by this pattern moved price above the 20-day and 50-day moving average. The price formed a base finished by strong breakout that led to another uptrend move in the price of HOG stock.